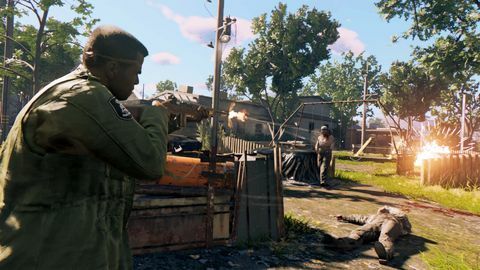 Ben goes hands-on with Mafia III, an open world action title set in the turbulence that was the Deep South in the '60s. With release day for the latest in 2K’s GTA-esque Mafia series fast approaching, I was lucky enough to get a really decent hands-on with the game at its preview event in New Orleans, surrounded by the sights and sounds that were the inspiration for what seems to be a story-dense, heavily-researched and intriguing game. 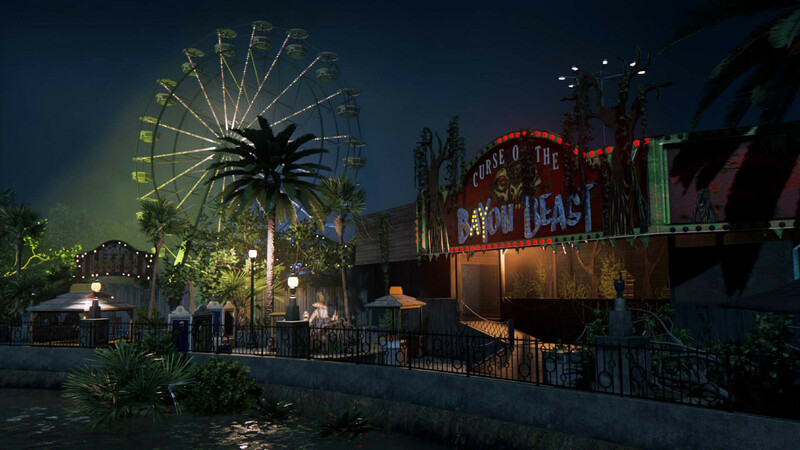 Taking a similar approach to creating an authentic-feeling fictional setting a la the post-war New York-style "Empire Bay" of Mafia II, studio Hangar 13 has set Mafia III in "New Bordeaux", a not-quite version of New Orleans in the late 1960s. Protagonist Lincoln Clay returns to the city after a stint in ‘Nam, where he served in the special forces, returning to his family and their low-level crime operation in a predominantly black area of the city. Hangar 13 is doing some interesting things with its approach to storytelling. The game opens with a dual framework; documentary-style interviews of secondary characters are taking place in the present day, and are interposed with footage of investigative hearings happening shortly after the game’s events. The game proper then jumps back to start in media res with protagonist Lincoln Clay in the middle of a criminal caper in 1968, before pausing again there and jumping back in time again to give us the backstory of Lincoln and the lead-in to the whole enterprise. Cutscenes throughout the game take place in the 1968 "past", but also occasionally leap forward to people being interviewed for the documentary or investigations. It’s an interesting approach which serves to create a real feeling of history to the whole game, fixing it as a real period piece and solidifying the feeling that we’re getting a window into a very specific time and place. And that examination of history is not glossing over some of its darker elements. 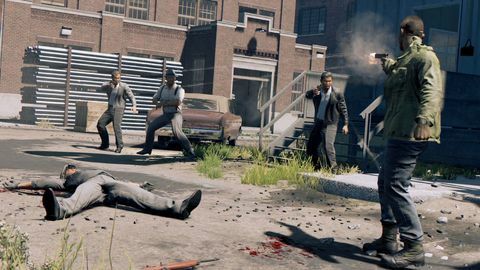 Gamers that had heard Mafia III would feature a mixed-race protagonist in the deep South of the '60s might have wondered how the game would deal with issues of racism, and the answer turns out to be: unflinchingly. It’s brutally honest about the racism of the time and era in a way that’s incredibly rare in games, and that is also highly confronting to 2016 sensibilities. Even when you’re aware of the historic context, it’s still a bit of a shock when the n-bomb gets thrown Lincoln’s way within the opening few minutes of the game – and this will be far from the last time you’ll hear it (and worse). In many ways, it’s perhaps the most striking facet of the game. I spoke to executive producer Andy Wilson at the preview event, who was adamant that was important the creative team tackle these historical issues head on in the game. "Had we not dealt with those themes and issues it would have been highly questionable, so it was a never a question of if we should do it; it was more of a conversation of OK, how do we get this right?" he said. "So that’s where the research comes in… the writing team did a lot of research of what it was like in the South at the times... definitely sterilising it, removing it or otherwise hiding it would have been offensive and weird, so we pushed forward." It’s probably not too much of a spoiler to say Lincoln’s tale becomes one of revenge, and he finds himself staring down the massive criminal empire that has slithered its tentacles throughout New Bordeaux. Determined to bring it all down, his task is to first draw out the mafia lieutenants (or capos) that help run the city before he can get to overall city mob boss Sal Marcano himself. 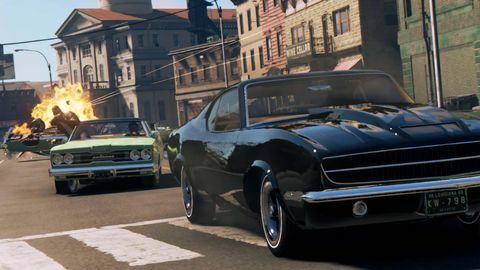 One of the criticisms that was levelled at Mafia II was that there turned out to be relatively few things to do in its open world. 2K seems to have taken that on board for the sequel, with a map generously studded with points of interest at which Lincoln can go and wreak some righteous vengeance. “There’s this kind of crime ecosystem all the way through the city... all of that stuff from sort of the street thugs in the back alleys to the bosses in the hideouts rolls up towards the lieutenants. You’re picking away at the crime infrastructure from the bottom up and destabilising it so can get to the lieutenants... that was a great way to tie in loads of open world content. The stuff that you interact with in the criminal rackets… all feeds up into the wider narrative, so it’s not just 'here’s a story mission and here’s a side quest'." In my time with the game, we jumped a bit further on into the time where the city is fully opened up, and I was able to explore the district of Frisco Fields, working to take down a racket under the control of the racist Southern Union. This began with activities such as breaking up their meetings, destroying supplies, interrogating informants and eliminating their key enforcers, before additional info I uncovered about their nefarious activities led to rescue missions and full-on assaults on strongholds. Equally, one could decide to leave the Southern Union alone for the while to take down the Frisco Fields district’s drug racket, or head to one of the other districts to get to lay of the land there. "As a player you can tackle all of the districts and objectives in pretty much any order you like," Andy told me, “and different things will happen based on the choices you make – different endings, different little narrative quirks that are gonna happen based on the decisions as you make... it’s a unique narrative structure, rather than being a 'here’s a movie you’re sitting and playing though'." Stealth seems a viable option for Lincoln in many of these activities, and is often a good initial approach at the very least, as much as in previous Mafia games, the player is no bullet sponge. Lincoln has a few options for evening things up though. It seems that he brings on lieutenants of his own in the early game and each can provide different types of ability and support. Particularly appreciated are options which bring a mobile weapons shop or new wheels straight to your location, and a gang of goons that can be called in at a moment’s notice for a price (much like Assassin’s Creed: Brotherhood’s squad of rooftop murderers) are always handy in a pinch. Lincoln can also act fast to make life easier for himself as well, gunning down crims going for the phone before they can call in reinforcements, or using a non-lethal takedown on any nosey witnesses that decide to call the cops. The basic shooting and driving gameplay are familiar, but seem to be well executed, with a few nifty touches. Lincoln’s got some brutal counter moves in hand to hand combat, and there have been some optimisations for shooting while driving – blowing out a car tyre on the move is particularly pleasing. There’s a driving simulation mode for those who prefer things less arcade-y, too. If Lincoln wants to do some heavy damage, he can also try rigging his car with C4, pointing it at what he wants to go boom, and then making a dive roll out of the moving vehicle before everything gets all flame-y. Shotgunning white supremacist good ol’ boy scumbags in the face never really gets old, either. 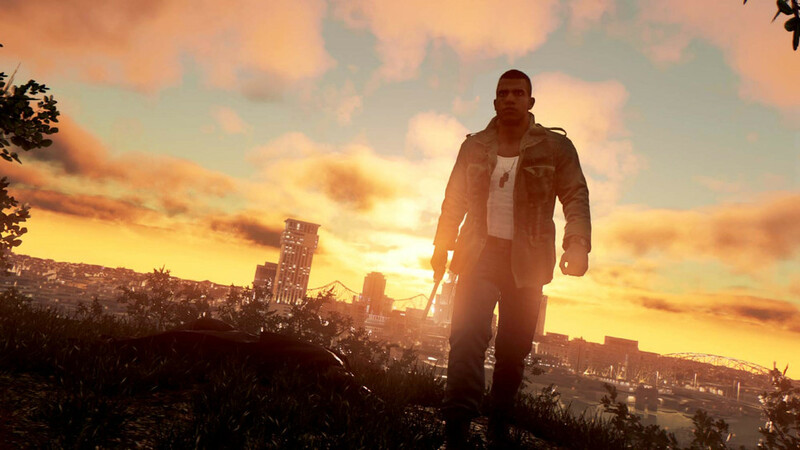 It’s the setting, characters, and story though that probably have me most excited for Mafia III. 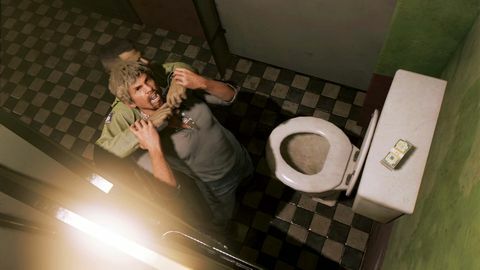 The hands-on revealed some compelling characters and what seems to be a genuine emphasis on performance – backed up by some great voice work and motion capture – and the richly created New Bordeaux looks fantastic. Hangar 13 seem to be telling its story in a dynamic way that makes the most of the storytelling advantages games can offer over films, and the amount of research they’ve put into recreating the era and location drips from every facet of the game – aided by the truly killer soundtrack of '60s hits, another element to mentally embed you in the game’s detailed world. The whole thing feels like a genuine (if perhaps exaggerated) recreation of a quite different time and place, and I think it’s going to be fascinating and exciting to see Lincoln’s story played out to its conclusion. ◆ Ben travelled to New Orleans courtesy of 2K.